‘Our memory will live on in a cloud’, or so read the title chosen by Esperanza Costa for the article she published in El País on 16 October 2013, a reflection on the relations between archivists and historians who face the vast amount of information constantly being posted on social media. A number of events celebrated in recent years reveal a new perception of this device of accumulation and archive we call the cloud. I’m thinking of the Big Bang Data exhibition held at the Centre de Cultura Contemporània de Barcelona in 2014, the two ‘Archives of the Common’ seminars organised by the Museo Nacional Centro de Arte Reina Sofía in 2015 and 2017, the ‘Archives Matter’ lecture delivered at Goldsmiths in London in 2016, the ‘Engaging with Screens: Art, Book, Archive’ conference held at Loughborough University on 31 May 2017, or the recent symposium on ‘Technologies of Accumulation’ held at the University of Barcelona on 23 November 2017. 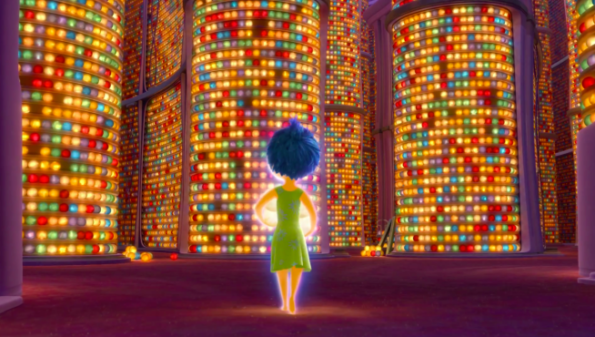 In the film Inside Out (2015), human memory appears as an archive of corridors lined with shelves filled with memories. New memories are entered by workers, who have previously made room for them by removing older memories, sending them down a chute that casts discarded documents into a chasm of darkness. In reference to what they cast away, one of the workers declares, ‘Nothing comes back from the dump’. Human memory is an archive and old memories that are forgotten are sent to the memory dump, like the things we discard and throw into the wastepaper basket. I may be the producer of my recollections but I won’t decide what place they will occupy in my memory, how they will be classified or whether or not they’ll end up in the memory dump. To a certain extent, the same can be said of our actions with regard to interconnected objects. Our actions generate documents that record them, like the self-storage archives that are created independently of our will when we use computers. Like the rubbers we’ve used all our lives. However, the self-storage function escapes the control of most of us, who have no idea where the documents may end up, the labels they will be assigned, the uses they will be given and the behaviour patterns that may be deduced from them. These tasks are carried out by algorithms, which we should perhaps add to the list of memory specialists, for the truth is that they have much more in common with a human archivist than we might suppose. Or at least that’s what comes to mind when I think of controversial cases such as those of Google Images, pictures of gorillas[iii] or the racism of criminal detection programmes in the United States,[iv] all of which have revealed the partiality of algorithms that are conditioned by the prejudices of their designers and programmers, and by the actions of users that are taken as examples when they are based on techniques of automatic learning. In this sense, at the end of 2017 we learnt that the development of artificial intelligence would be based on the information stored in the clouds of powerful companies like Amazon, Microsoft and Google. [v] At the end of the day it seems as if, regardless of the technologies employed, archives and the accumulation of documents of memory continue to reflect the orders of power and the dominant ideologies in each society. Just as The File Room by Muntadas or Aids Anarchive by Equipo Re develop a memory of what hegemonic normativism would discard, couldn’t we think of similar initiatives that consider that our experiences as users will generate documents of memory which, in their turn, will also be archived? 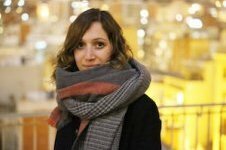 The digital project entitled The Body Archive[vi] by researcher Marta Delatte could be taken as a reference, which was created in 2016 as a reaction to the lack of documents on women’s lives in the databases used in official statistics. On this website the artist linked five hundred contents that have been shared on its media since 2015 and which are interrelated through key words that act as nodes: ‘bias’, ‘abuse’, ‘digital memory’, ‘women’, ‘solidarity’, ‘body archive’, ‘hard internet users’, ‘remix culture’, ‘research’ and ‘girl culture’. From the minute we become aware of our co-responsibility in the generation of such information, we might perhaps consider whether it would be possible to change our activities – or the recording of our activities – and generate documents that connect non-normative subjectivities, and whether these could gain presence in the cloud or in the archive to which we inevitably contribute by the simple fact of living. [i] Diana Padrón presented the communication ‘On the Shitstorm. Post-politics in the Rhizosphere of Techno-liberalism’ at the ‘Tecnhologies of Accumulation’ symposium held at the University of Barcelona, 23 November 2017. [ii] Nancy Garín presented Anarchivo Sida at the ‘Tecnhologies of Accumulation’ symposium, op. cit.